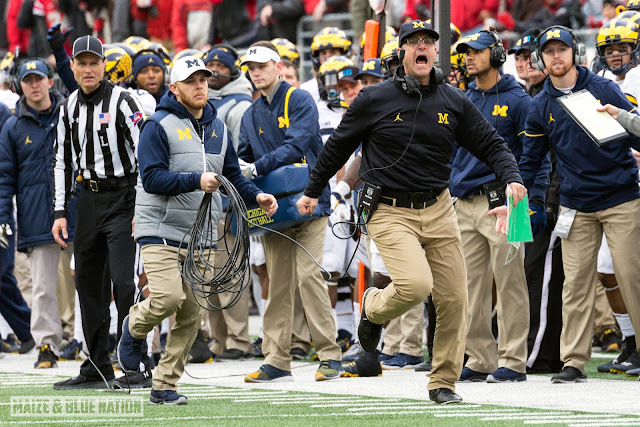 Rosemont, Ill. – The Big Ten office today issued a public reprimand of Michigan football head coach Jim Harbaugh for violating the Big Ten Sportsmanship Policy following Michigan’s game against Ohio State on Nov. 26, 2016. In addition, the conference announced that the institution has been fined $10,000 as a result of the violation. 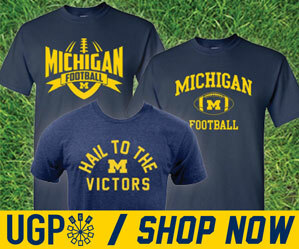 The Big Ten determined that Harbaugh’s postgame comments regarding officials were in violation of Big Ten Conference Agreement 10.01, which states in part that “The Big Ten Conference expects all contests involving a member institution to be conducted without compromise to any fundamental element of sportsmanship. Such fundamental elements include integrity of competition, civility toward all, and respect, particularly toward opponents and officials.” Coaches are teachers as well, and there is an expectation that they set the example for students and others in the area of sportsmanship. The Big Ten Conference considers this matter concluded and will have no further comment. This is the Big Ten doing it's due diligence. A fine was coming the second Harbaugh bad-mouthed the officiating. The only interesting bit here is the dollar amount. A $10K fine is much smaller than I thought it was going to be. To me, this is the league saying "We have to fine you because we have to, but we're sorry for screwing you over".